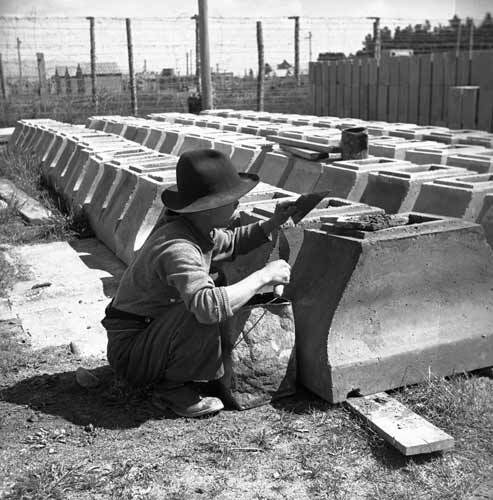 A Japanese prisoner of war fixes imperfections in state house chimneys, at Featherston Military Camp in 1943. About 800 Japanese were held in the camp, and were assigned work duties. Some went on strike in February 1943, leading to a tragic incident and shooting in which 49 people died – 48 prisoners and one New Zealander.